Sahasi is what my mother has named me. The celebration of Durga pooja and Navratri gives me enough reason for celebrating the presence of my mother in my life, who is not less than a goddess to me. Let me share something special about my mothers. Yes, I have two! One who gave me birth, my biological mother and the other who raised me, my adoptive mother. It is true; we cannot choose certain things in our life. They are given to us and we have to accept them the way they are. If given a choice, I would have chosen to take birth from the womb of my adoptive mother. This does not mean I do not respect my biological mother but I have reasons for my choice. I really do not know under what circumstances my biological mother gave me birth and in what moment and for what reason she decided to abandon me. I am sure I was abandoned in the early morning hours, wrapped in warm and soft linen cloth, crying at the doorsteps of an adoption agency when she left me there. While leaving me, I know she cried, hugged me and kissed me several times. Nevertheless, she was helpless. Maybe she was an unwed mother scared to face the society and stigma that would follow her if she brought me all by herself. May be her partner (unfortunately my biological father) might have refused to own me. Maybe I was a born out of an accidental child and therefore unwanted. Maybe the responsibility of a child would have meant marriage for the couple and for which their relationship was not made for or, maybe because I was a girl child, I was not acceptable. Reasons could be many but cannot say for sure which one would have been for me. Nonetheless, I respect my biological mother, for having given birth to me rather than opting for abortion. Also, I respect her for choosing to leave me at the doorstep of an adoption home rather than throwing me away in a dustbin, leaving me at the mercy of street dogs and wild birds. I was 5 months when my adoptive mother celebrated my home coming. She was 31 years, when she adopted me from Matru Chayya Adoption Home. In all my childhood memories, the photographs of my home coming, the video of the day when I began to walk, my first birthday party, initial parent-teachers’ meeting, my father was missing. As I matured, I learned that my mother was single, a single unmarried woman who had adopted me. She never shared her reason for being single and that was not important for me to know. What gave me pleasure was her excitement and a compelling desire to parent and nurture a child. Instead of finding a partner and having her own biological child, she chose adoption. It took more than 9 months to have a baby in her arms. She experienced a lot of pain though not physical like my biological mother had to bear while delivering me but the psychological and social pain. She had conceived the idea of adopting a child when she was 28 years. However, she could not adopt at that age as the eligibility criterion for single adoptive parents listed by the law was above 30 years. My grandmother was very upset with her decision of adopting a child. She was worried that no man would consider marrying her daughter after she adopted a child. Like others, even my grandmother was unable to understand the reason behind the choice of adoption when she could have got married and had her own baby instead. Once she started accepting her daughter’s choice, she was worried how my mother would nurture a child all by herself without a partner. My mother approached many adoption agencies and filed application for single parent adoption. In many cases, her application was dispassionately rejected on the ground of being single. As often, single individuals are perceived as irresponsible and some of those adoption agencies thought that my mother is also one of them. 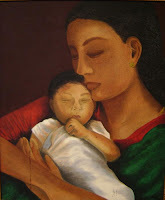 Some stated that for healthy growth and development, a child needed both, a father and a mother. However, they never understood that a single parent home was far better than an institution. She also faced many problems after adopting me. She played a role of father and a mother. Sometimes coming late from the office, tired and frustrated (like all fathers would be) and everyday rising early in the morning to prepare my meals and plan my day (like all mothers do). She earned the bread as well as fed me. She had the wonderful strength of ignoring neighbours comments and speculation about my legitimacy. As a child I never understood how it feels to hear questions as how can one nurture someone’s illegitimate child? Is the child an adopted one or is she her own illegitimate child being projected as an adopted child? It went to the extent of sarcastic comments from her friends for making a status statement in the society. My mother not only gave me a name, which means courageous, but she also gave me an identity in the society. She taught me to pay attention on things, which would boost my self-image rather than break me by listening to ‘what people say’. She was the best example for me. I do not recollect any instance wherein she has ever restricted me to exercise my choice. But, I remember, whenever I expressed my choice or any desire, she has always played the role of a mother who would inform me about the good and the bad, the right and the wrong consequences of exercising my choice and fulfilling my desire. Sometimes, it so happened that choices made, were wrong, and she just said ‘nothing is assured or guaranteed take it as a part of your learning’. That is how I learned to take responsibility for my choice and my actions. And in true sense she made me Sahasi (courageous). Indeed, biology has the power to give life but it is love and care that empowers life. Hence, in true sense my adoptive mother is my mother (maaji aai,माझी आई).